The Indigenous Labour Project is an attempt by ALHI to document via oral histories the rich, but often invisible, history of the work of Indigenous women and men in Alberta. We will be partnering with Indigenous organizations and individuals to videotape interviews for our website and hopefully be able to use those materials to create a documentary film, and a book as well as host a conference on Indigenous Labour History in Alberta. Trevor will be working with our Indigenous Labour steering committee and the ALHI board to plan the early stages of this work. 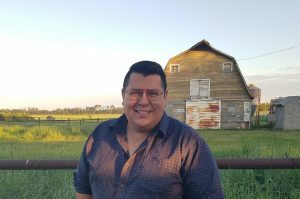 He is excited to be able to combine his interests in working-class history and Indigenous history as a budding, inter-sectional scholar with both working-class and Indigenous roots.